The top stretches a lot, but the sleeves can be tight for ladies with a full upperarm. New collection! 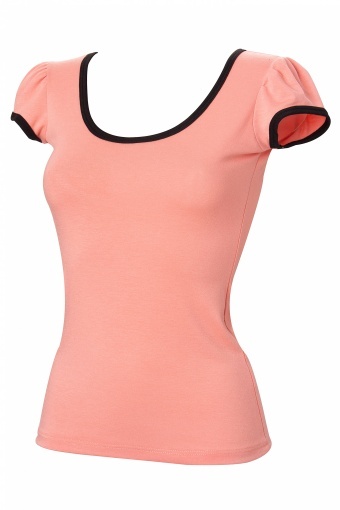 The Kelly Top peach from Steady Clothing. 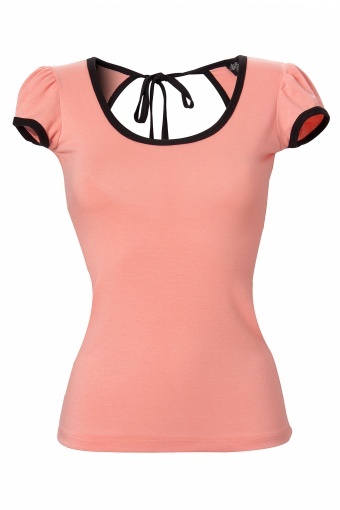 Very cute top with nice details. 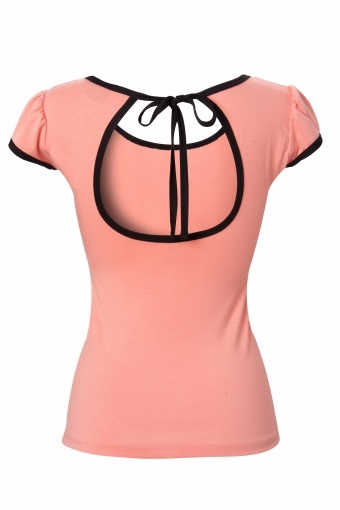 With a pretty round cut out at the back and a tie strap in black. The sleeves, neckline and roud cut out have a black piping which gives the top a spunky finish. 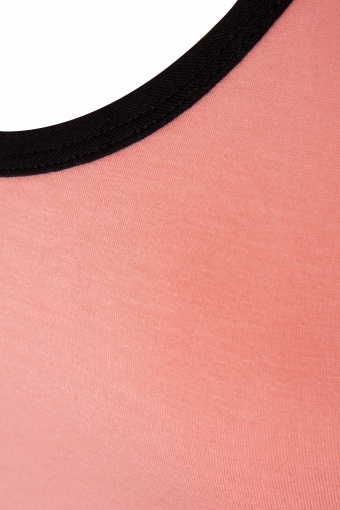 Made of a supple, light and stretchy jersey in a beautiful warm peach colour (as shown on the last 4 product pics).